Home / Bosco Metal Coating Aluminium and GlassBosco Metal CoatingBosco Trading Co. L.L.C.Variety Hardware Co. L.L.C. 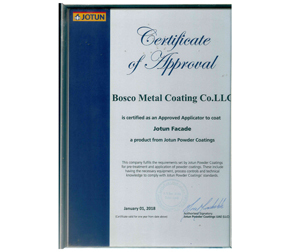 Bosco Metal Coating Located at Sharjah, United Arab Emirates, Bosco Metal Coating Co. LLC houses a Powder Coating, PVDF Coating and Decorative finishes including Wood Finish Coating facility. 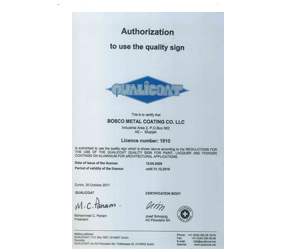 The Powder Coating facility is Qualicoat approved and authorized by M/s. Jotun Paints as their authorized applicator. The conveyorised powder coating system is equipped with automatic as well as manual powder coating guns from M/s. Gema, Switzerland– world renowned company in the field of Powder Coating equipment. 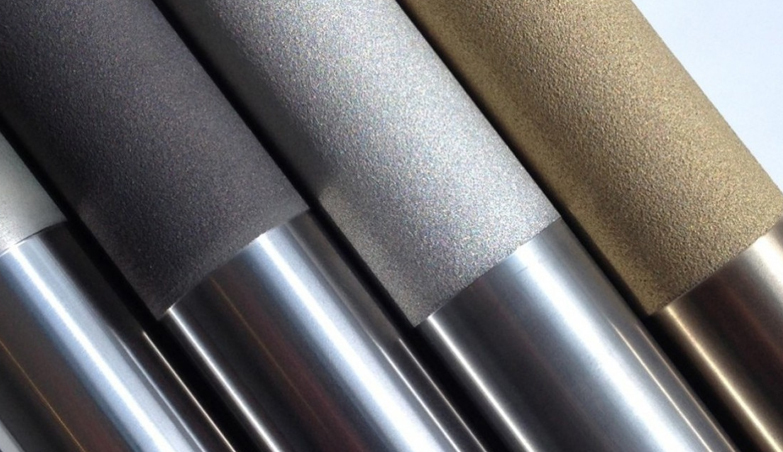 From small components to aluminium profiles as long as 7.5 meters, to gates as high as 2.5 meters, the coating capability is highly versatile and covers a wide range of components which can be powder coated. Decorative and wood finish decorating facility is equipped with Machinery from M/s. Decoral – Italy, based on the Sublimation process. Straight profiles, arches, accessories etc. all can be finished in the required decorative finish with the same texture.